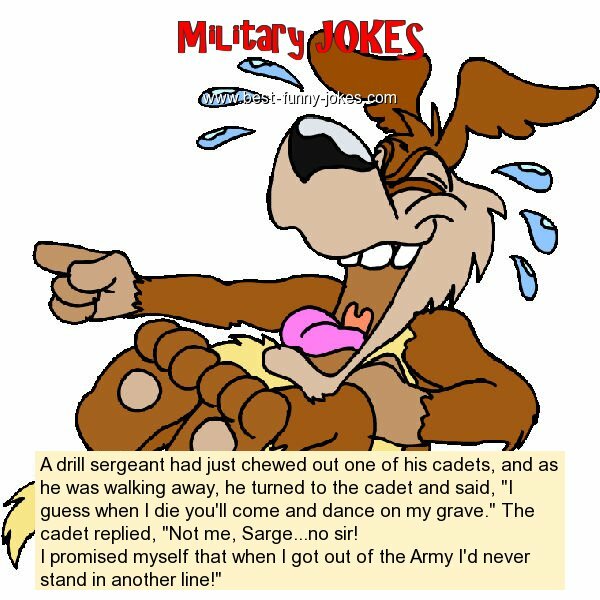 A drill sergeant had just chewed out one of his cadets, and as he was walking away, he turned to the cadet and said, "I guess when I die you'll come and dance on my grave." The cadet replied, "Not me, Sarge...no sir! I promised myself that when I got out of the Army I'd never stand in another line!"